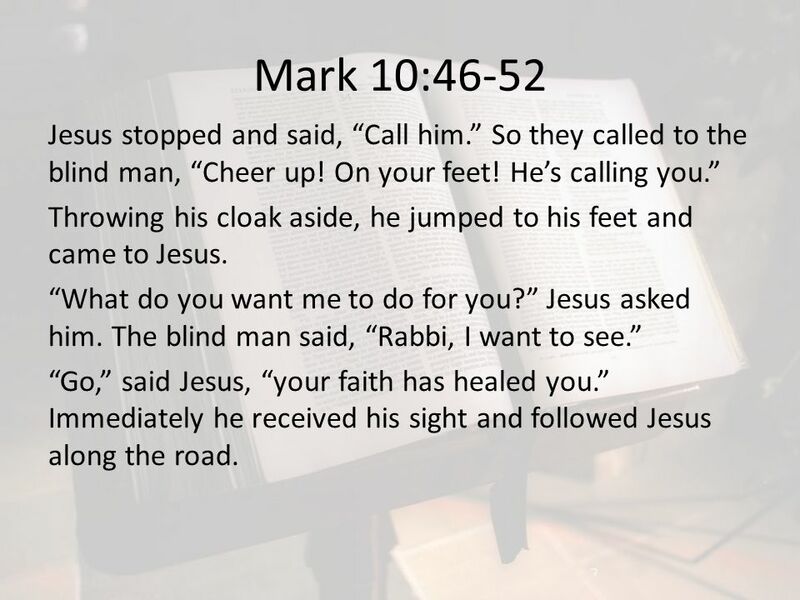 3 Mark 10:46-52 Jesus stopped and said, “Call him.” So they called to the blind man, “Cheer up! On your feet! 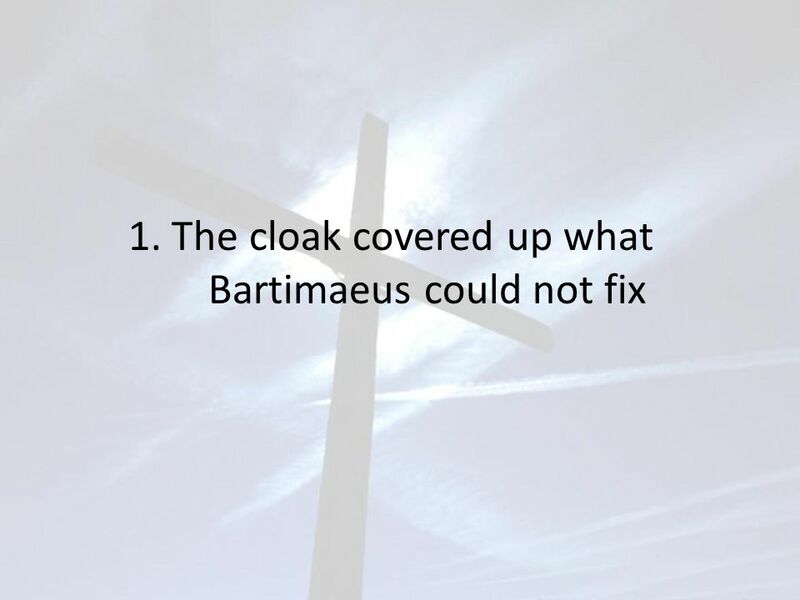 He’s calling you.” Throwing his cloak aside, he jumped to his feet and came to Jesus. “What do you want me to do for you?” Jesus asked him. 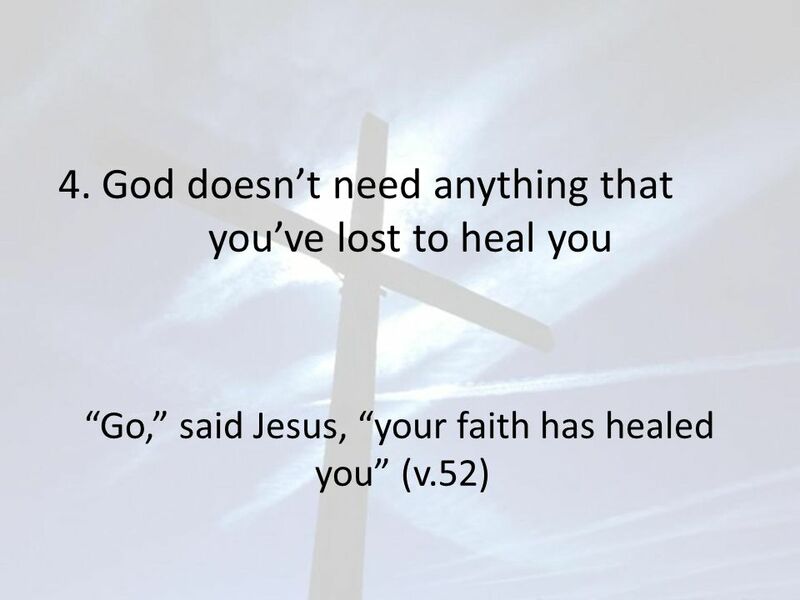 The blind man said, “Rabbi, I want to see.” “Go,” said Jesus, “your faith has healed you.” Immediately he received his sight and followed Jesus along the road. 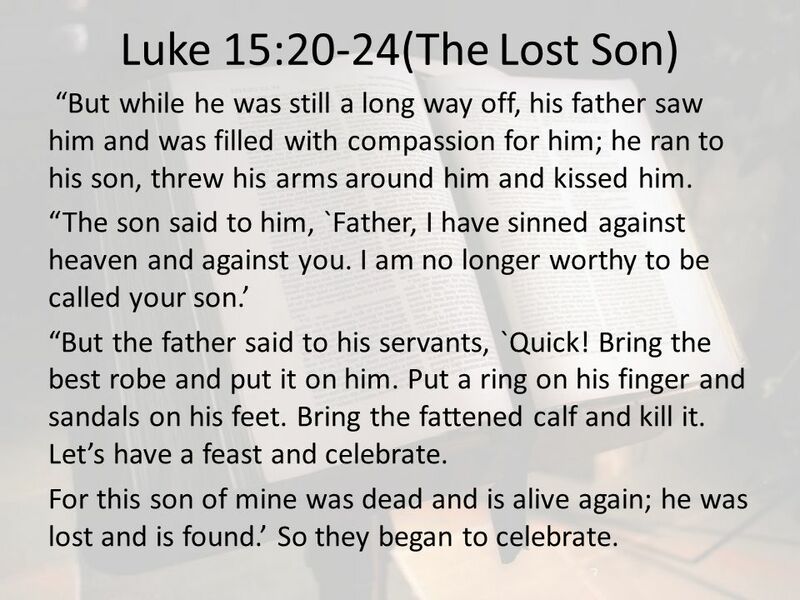 6 Luke 15:20-24(The Lost Son) “But while he was still a long way off, his father saw him and was filled with compassion for him; he ran to his son, threw his arms around him and kissed him. “The son said to him, `Father, I have sinned against heaven and against you. I am no longer worthy to be called your son.’ “But the father said to his servants, `Quick! 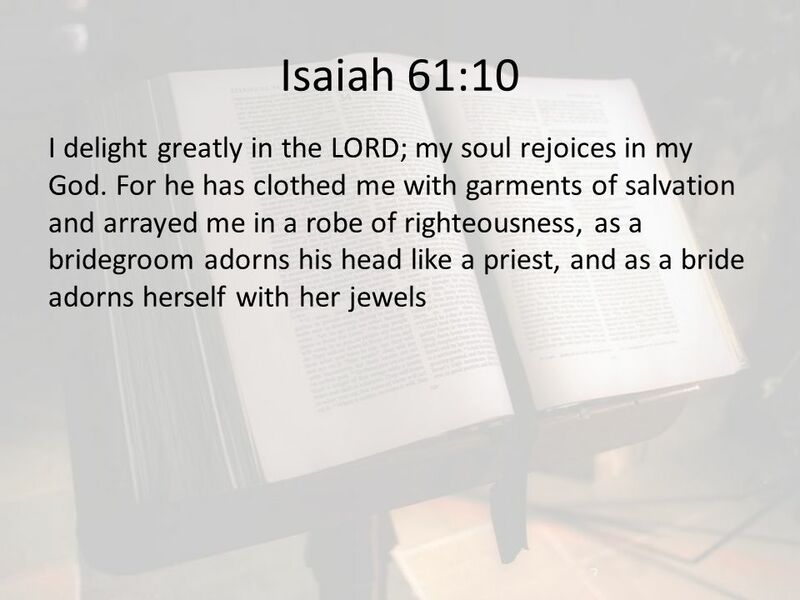 Bring the best robe and put it on him. Put a ring on his finger and sandals on his feet. Bring the fattened calf and kill it. Let’s have a feast and celebrate. For this son of mine was dead and is alive again; he was lost and is found.’ So they began to celebrate. 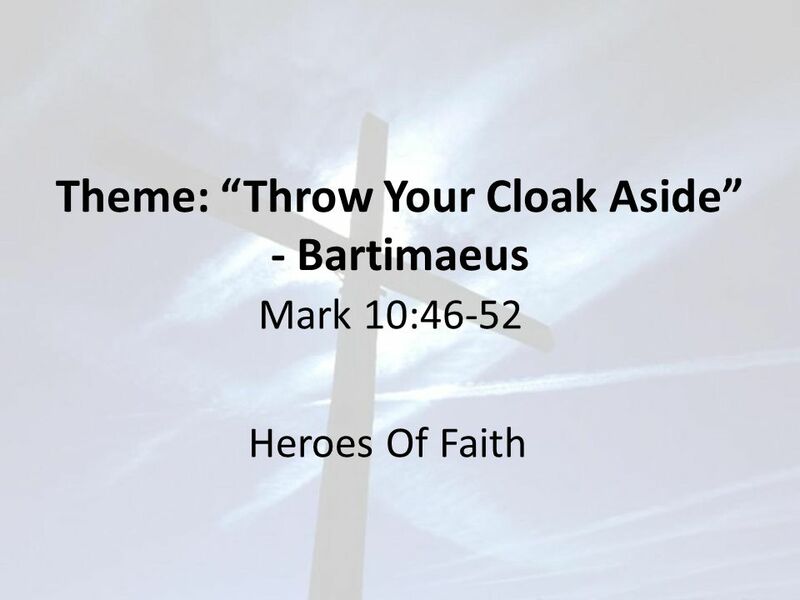 Download ppt "Theme: “Throw Your Cloak Aside” - Bartimaeus"
Questions Jesus Asked Questions Jesus Asked! WHAT DO YOU WANT ME TO DO FOR YOU? Godly sorrow is a change of heart that leads to a change of action that changes your life! The Parable of the Lost Sheep 1 Now the tax collectors and sinners were all gathering around to hear Jesus. 2 But the Pharisees and the teachers of the. The role of the Connections Pastor 1) Small Groups 2) New People 3) Unreached People. Hope Personified May 11. Remember when … In what way did you and your siblings compete with each other? Today we look at what happened when the younger. Jeremiah 1:11-13 (NIV) 11 The word of the Lord came to me: “What do you see, Jeremiah?” “I see the branch of an almond tree,” I replied. 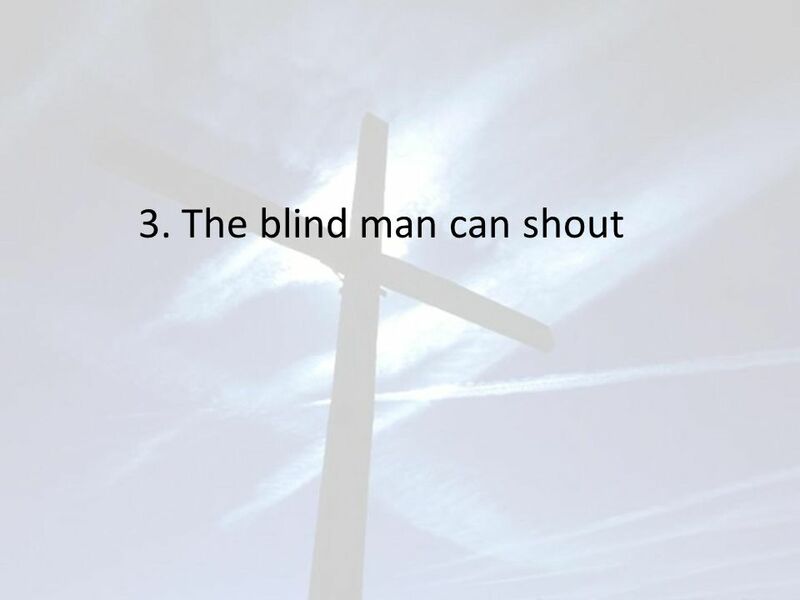 12 The Lord said. April 19 th, 2015 Pastor David Kobelin How Big Is God’s Plan For My Life? The Father’s Love Orchestrating Love Luke 15:1-32. During Difficult Times Can You See Him?. 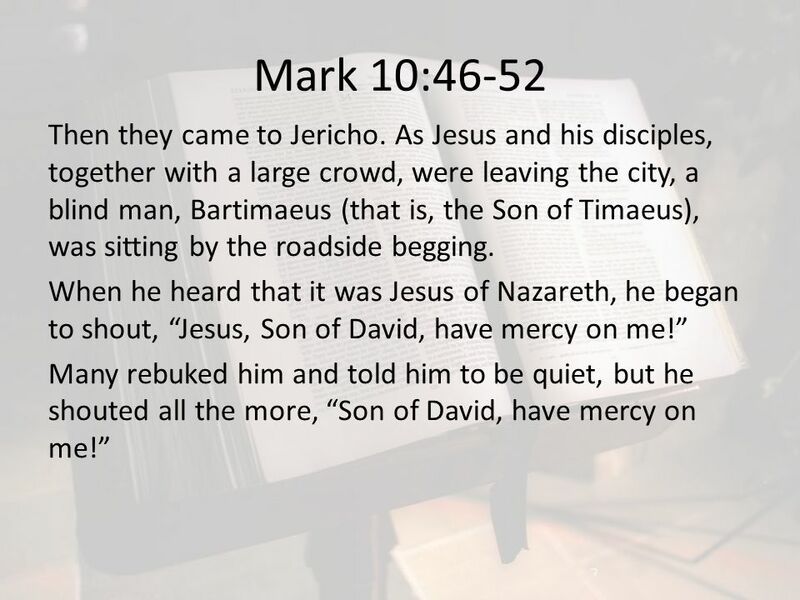 Mark 10:46-52 (NIV) Then they came to Jericho. As Jesus and his disciples, together with a large crowd, were. Growing Deeper Reaching Higher Expect a Miracle! Mark 10:46-52. 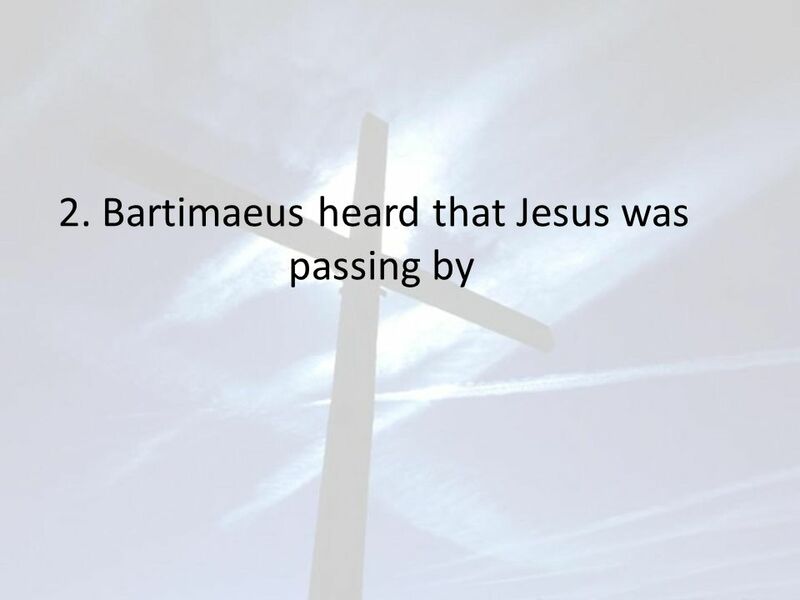 THE LOST PARABLES: Seeing the Kingdom through Jesus’ Eyes.